A newspaper reporter, Zaslow started at the Orlando Sentinel, and later moved to the Wall Street Journal, where he was working when in 1987 the Chicago Sun-Times held a contest to replace Ann Landers, who had defected to the rival Chicago Tribune. There were more than 12,000 entrants, including Zaslow, who did it with the intention of writing about his experience for his own paper. But he won, and he moved to the Sun-Times to write “All That Zazz”. He left the paper in 2001, and returned to the WSJ. In addition to being a columnist there, he wrote books. 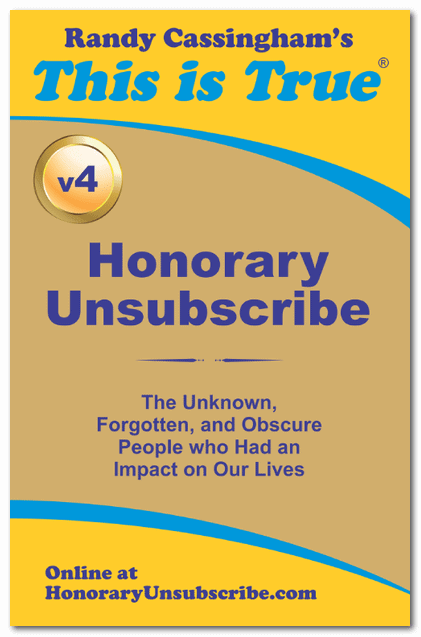 He had attended the “Last Lecture” of Carnegie Mellon University professor Randy Pausch (Honorary Unsubscribe, Volume 4), who was dying of pancreatic cancer. He found Pausch’s 2007 presentation so profound, he helped Pausch write a book based on the lecture. It was published three months before Pausch died, and was on the New York Times Best Seller List for 112 weeks. Zaslow also wrote The Girls from Ames, about a group of 10 women who were friends for more than 40 years; Gabby: A Story of Courage and Hope, with Arizona Congresswoman Gabrielle Giffords and her astronaut husband Mark Kelly after she survived an assassination attempt; and Highest Duty, about Chesley Sullenberger, the airline captain who landed his crippled jetliner in the Hudson River in New York with no casualties. Zaslow was killed in a car crash in Michigan on February 10, while on a tour to promote his latest book, The Magic Room: A Story About the Love We Wish for our Daughters. He was 53.